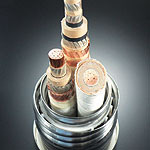 Once though impossible, high-temperature super-conductive cables are now a reality. Super conductivity is a material and technology that greatly contributes to the environment and energy, and will us pass on our beautiful earth to the children of the future. Light is the courier service of the information age. It is already connected right to your doorstep. 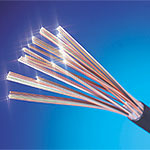 Optical fibers accurately deliver large volumes of information to you. 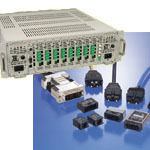 A full lineup of machines and devices are available to convert compound information received over the fibers into electric signals, branch these signals, and to convert the information into optical signals. The generation of “all-electric” home appliances is quickly approaching. 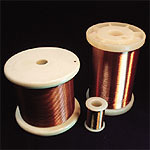 Our environmentally friendly ecology cables safely transport electricity, and function as our lifeline for the future. 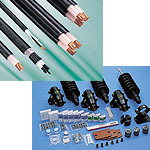 As automation advances, coils have been come an indispensable component for motors, actuators and various sensors, etc. Nagoya Denki has a full lineup for various grades.